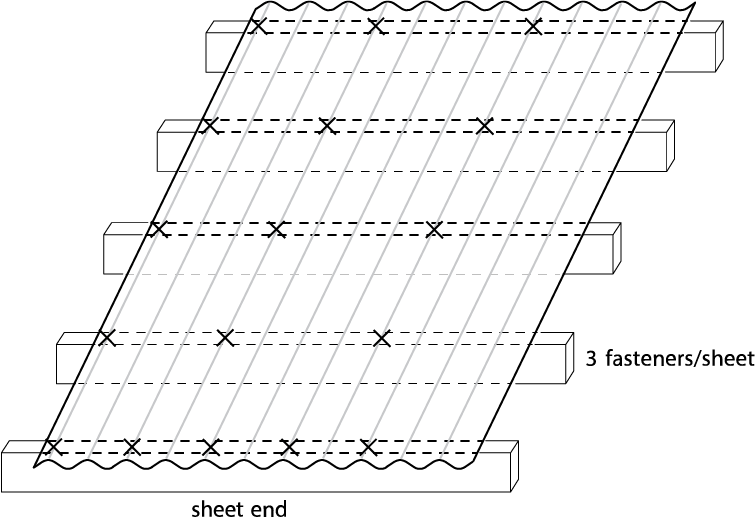 Sheet width for aluminium +0, -15. If sheet cover widths are critical, advise Dimond at time of order. 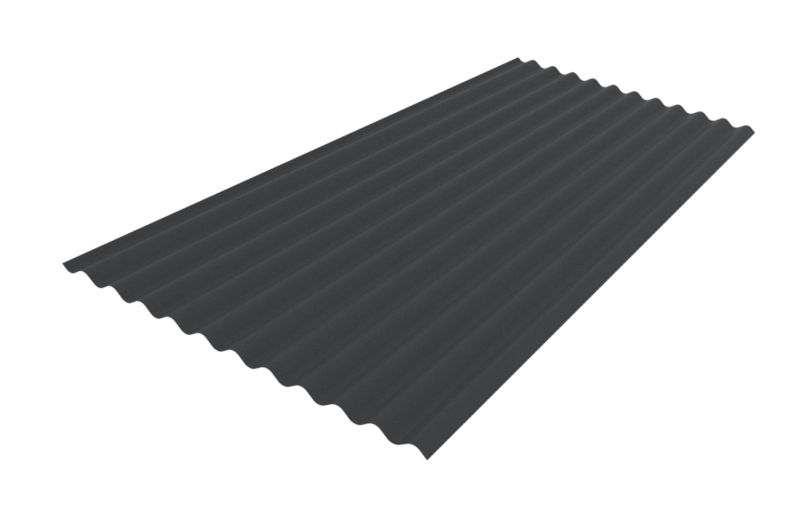 Sheet length: +10mm, –0mm. For horizontal wall cladding where notified at time of order of intended use, tighter tolerances can be achieved +3mm, –0mm. Sheet lengths: Corrugate is custom run to order. Fixing techniques to accommodate thermal expansion. In any category, spans above the maximum shown should not be used. Category 1 and 2 maximum spans are based on static point load testing as a guide, and further limited by practical experience of roof performance under dynamic foot traffic loads. Category 3 maximum spans are limited as a guide to achieving a satisfactory appearance for wall cladding. Loads given are limited to a maximum of 4.5 kPa. If design requirements exceed this limit, contact Dimond for specific advice. – Serviceability Limit State loads are not applicable to the Duraclad material, as it does not experience permanent deformation. – System must include Safety Mesh if intended for use as a Restricted-Access roof. Refer Section 2.2.1.8 of Technical Manual. No pull through of fixings or fastener withdrawal resulting in sheet detachment due to wind up-lift (outward) loads. The span capacity of Corrugate is determined from the Corrugate Limit State Load/Span Capacity Chart using the section of the chart appropriate to the grade and type of material and to the category of serviceability selected from the three categories below. Serviceability loads have been derived by test to the NZMRM testing procedures. To obtain an ultimate limit state load we recommend factoring the serviceability load up by 1.4 in-line with NZMRM guidelines. Expect regular foot traffic to access the roof for maintenance work and able to walk anywhere on the roof. No congregation of foot traffic expected. Expect occasional foot traffic educated to walk only on the purlin lines, in the profile pans, or carefully across two profile ribs. Walkways installed where regular traffic is expected, and “Restricted Access” signs placed at access points. failure by screw pull out will not occur under loads within the scope of the Limit State Load / Span Capacity Chart. *If sarking or insulation is used over the purlins or for wall cladding fixing onto a cavity batten, into the stud, the screw length will need to be increased. For screw size range and fastener/washer assembly refer Section 2.2.3.1 of Technical Manual. The Limit State Load / Span Capacity Chart is based on 5 screw fasteners/sheet/purlin without the use of load spreading washers (except for Duraclad material, which must be fitted with profiled metal washers and 36mm EPDM seals). On end spans, or large internal spans where the Ultimate Limit State distributed load is limiting. Contact Dimond for specific advice in these design cases. 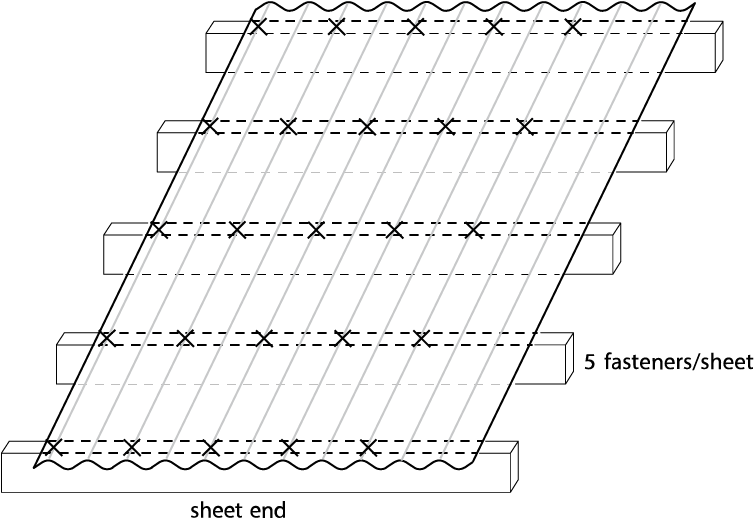 When required to enable the fixing system to accommodate the thermal movement of long sheets – see Section 2.1.3.4 Thermal Movement of Technical Manual. Wherever the designer wishes to ensure the risk of fastener over-tightening will not cause dishing of the crest of the profile rib. Use in serviceability categories (1) or (2) can allow the reduction of fasteners to 3 screw fasteners/sheet/purlin. If this is done, the distributed load capacities given in the chart should be reduced using a multiplying factor of 0.6. 1500mm. The following distributed load capacities apply. Need a brochure for this profile? Here you can download one with the basic information and details you need during the decision process.